GOVERNMENT has appointed a committee which will spearhead the biometric registration of civil servants, an exercise that is expected to help streamline the public sector payroll through weeding out of “ghost workers”. The registration exercise is part of broad measures that have been adopted by Government — through the Transitional Stabilisation Programme — to rationalise its wage bill. “Clearly, this goes against the thrust of re-orienting budget expenditures towards growth enhancing and poverty reducing developmental programmes and projects through rationalisation of the Public Service Wage Bill. “Mr Speaker Sir, to weed out these ghost workers, I propose to introduce a biometric registration of all civil servants, with effect from 1 January 2019,” said Prof Ncube. 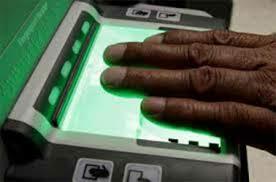 He said the biometric data will involve capturing of one’s unique physical attributes such as fingerprints, DNA, iris and retina pattern, using ICT. “The above system will ensure that every person being paid by Government for services rendered is properly accounted for,” said Prof Ncube.